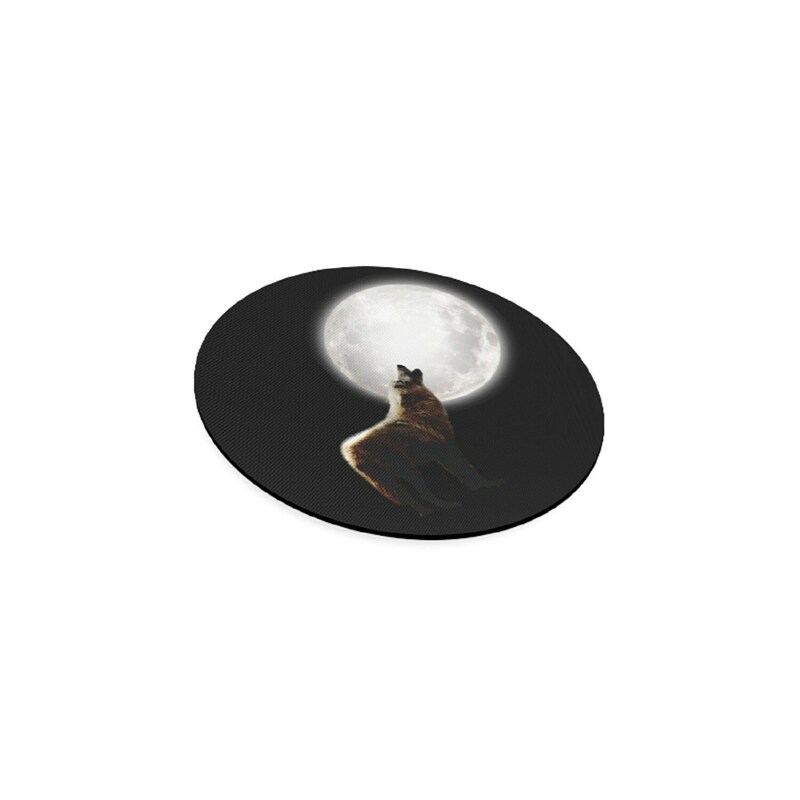 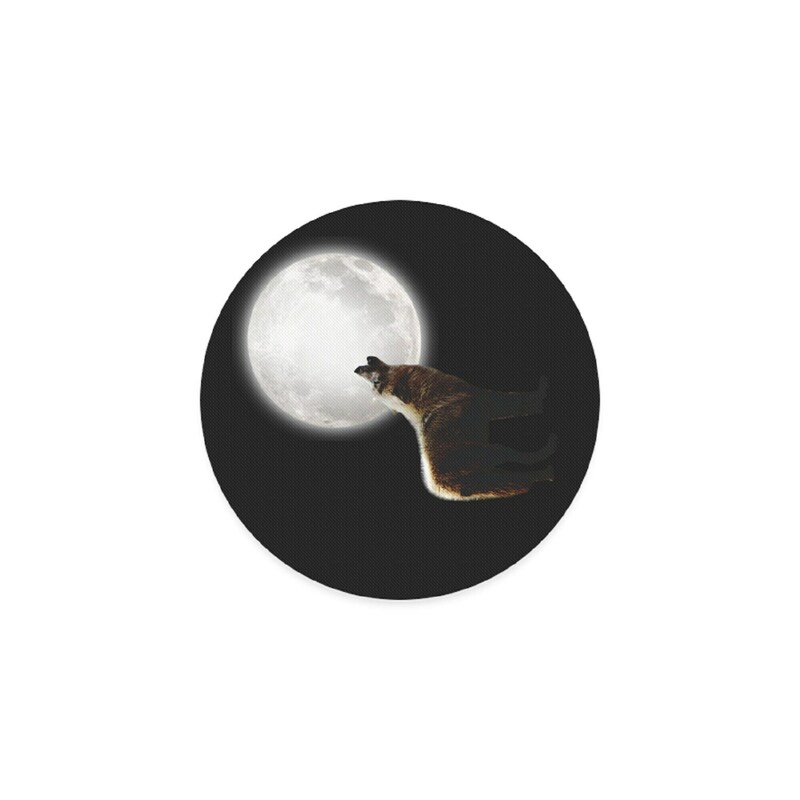 Wolf howling at the moon round coasters. 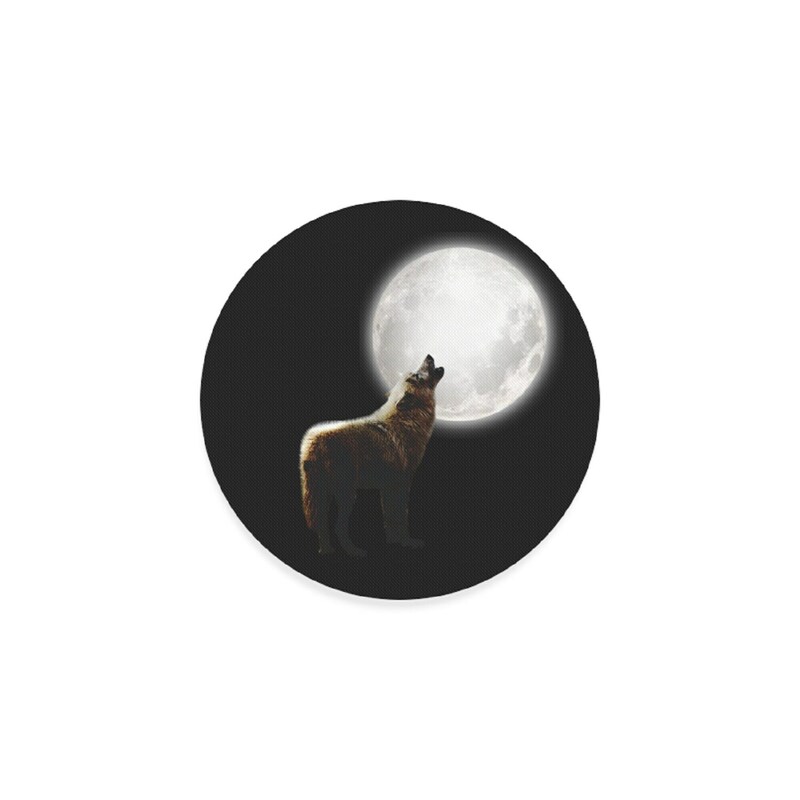 Buy individual or sets of four and six. 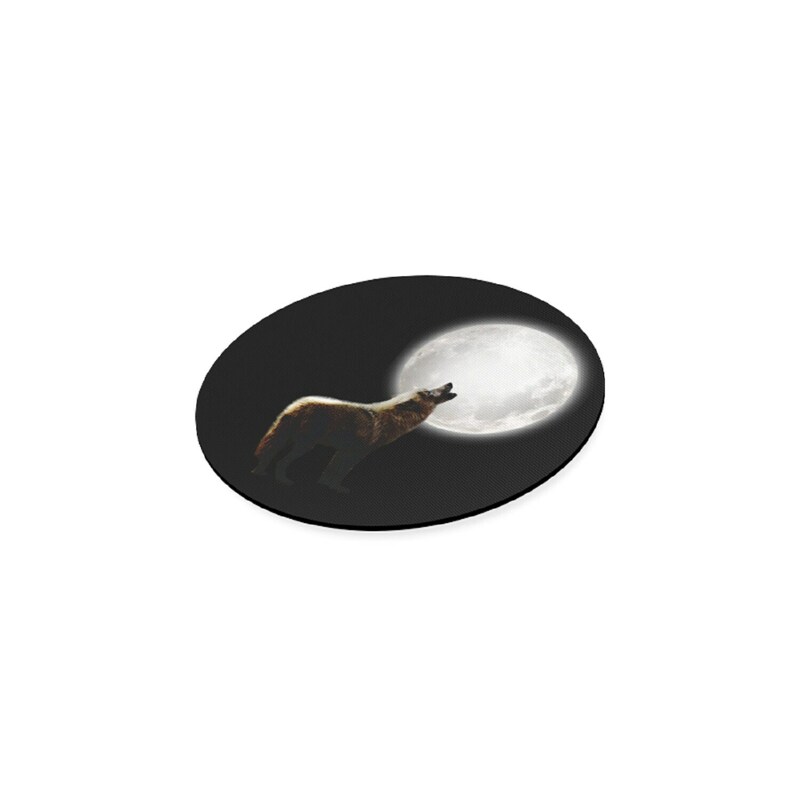 * Classical round shape, sized in 3.5" in diameter, 1/8” thick.